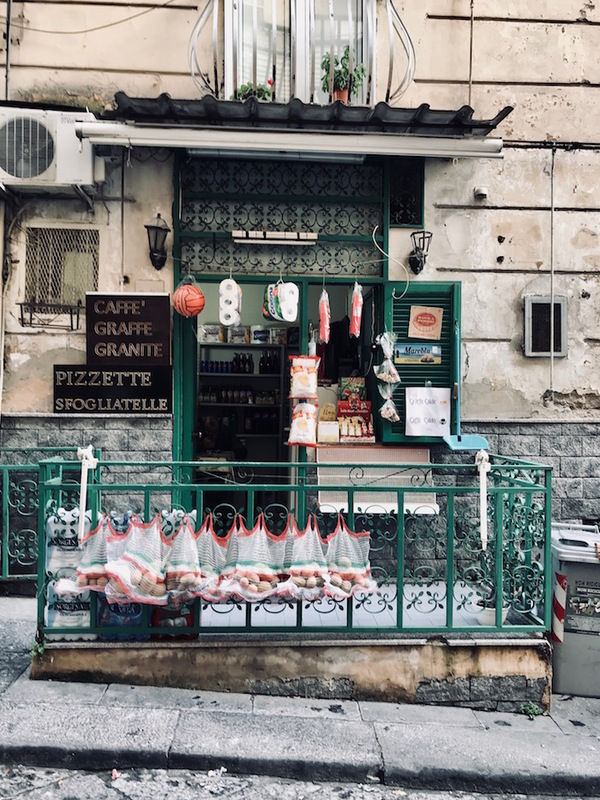 I’ve been exploring the Gulf of Naples this week and created a city guide to experience the best of the Naples itself. It’s the perfect guide to get to know the city in just one day. Be prepared to walk quite a lot, but there is no better way to explore a city profoundly on foot. 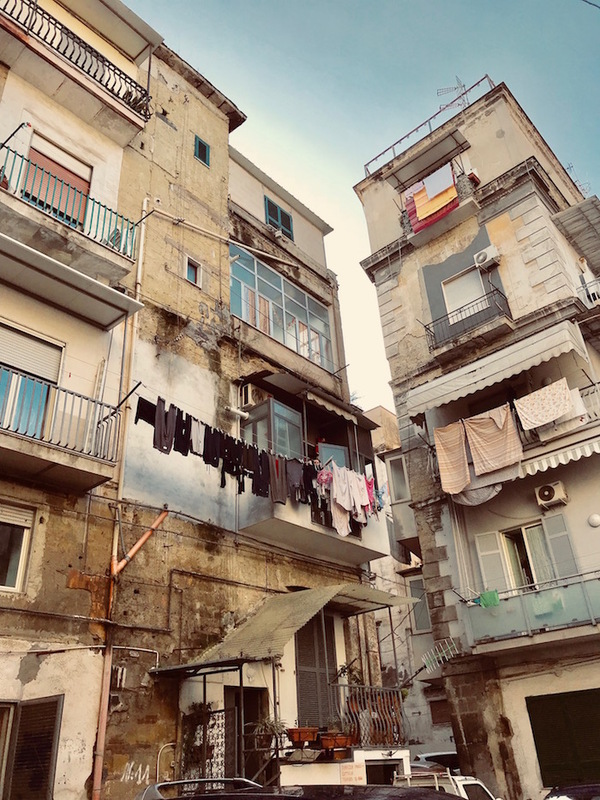 The stories you hear about Naples are true: the city is dark, dirty and busy. It’s almost like the Napolitans have difficulties understanding the meaning of “maintenance”. The city has lots of dark, narrow streets and garbage can be found at any corner. However, when you would observe this all with an open mind (hi Taoist), you will perceive it as super intriguing, just like I did. Save the locations in your Google Maps app on your phone (find out how to do that here) and you will easily see the route of my guide. I always use Google Maps to lead me anywhere in the world. Just be careful for pickpockets whilst holding your phone in front of you. The guide starts at train station Porta Nolana or Garibaldi, two main stations that are located near each other. Take a walk towards the west through a typical Napolitan neighborhood. Notice how sunlight shines through dark, narrow streets. Enjoy the unmaintained buildings and the laundry hanging there to dry. I personally think the “imperfection” is so enormously beautiful. I’m always intrigued by streets like these. The two oldest pizzerias of the city are Antica da Michele and Antica Port’Alba. I did a great attempt to have a pizza at da Michele that would trigger my salivary glands by just reading about it. However, I didn’t have the patience to wait in the immense line. Cars would have difficulties passing the street full of people. But ok, if you do have the patience, let me know how the pizza was. You could also try the Port’Alba one that’s on the way. Find the street via Duomo and walk upwards to the Cathedral Santa Maria Assunta. A beautiful church with an amazing interior design. I always love to wonder how they built this all ages ago. Now find either the street via dei Tribunali or via Vicaria Vecchia and walk towards Piazza Bellini. Both streets are really spirited, have cute little stores and many pizzarias. If you didn’t have pizza yet, try Pizzeria del Portico at via dei Tribunali (my favorite pizza so far) or Antica Port’Abla both practically located on the end of those streets. Subsequently, have a coffee at Caffè Letterario (also called Intra Moenia) at Piazza Bellini. The cutest cafe I found in Naples. A green interior design that looks like an adorable plant shop. They have those Parisian kinda chairs that are SO on trend right now. From Piazza Bellini we are going to enter the biggest street of Naples, via Toledo. Notice how the city slowly turns into a modern, world city. Walk downwards to Galleria Umberto which is a beautiful shopping gallery (don’t forget to look up). If you only start to get hungry now, try a pizza at Napoli in Bocca. 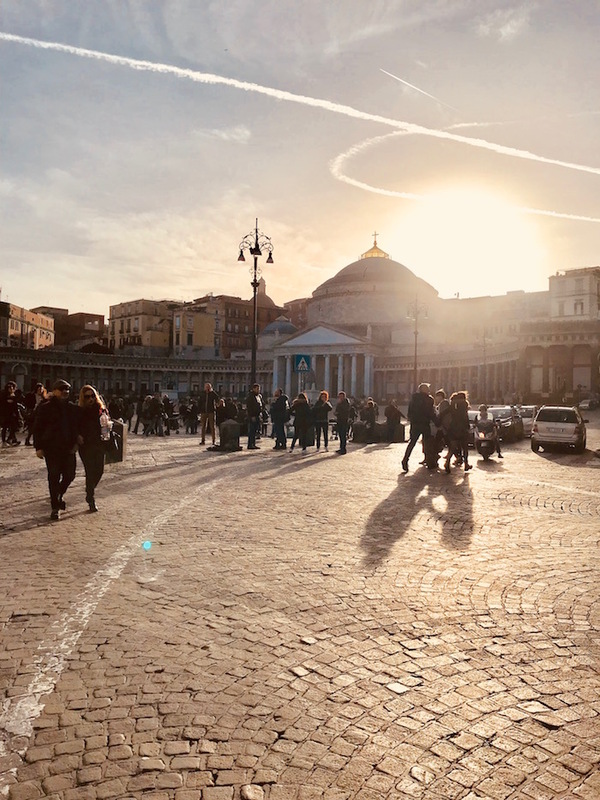 Then, walk to the largest square of the city Piazza del Plebiscito. You could have another coffee at Gran Caffè Gambrinus. You will also find shops like H&M and Zara in this area. 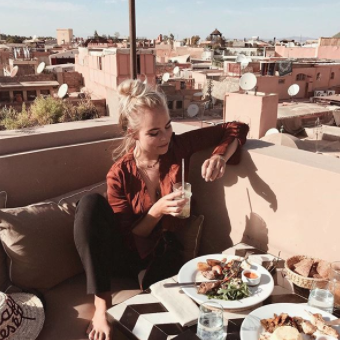 As I personally love to use booking.com to plan my travels, I teamed up with them to give you a 25 euros discount on your next travel (on a booking over 50 euros) ! Click here and the discount will automatically be applied.